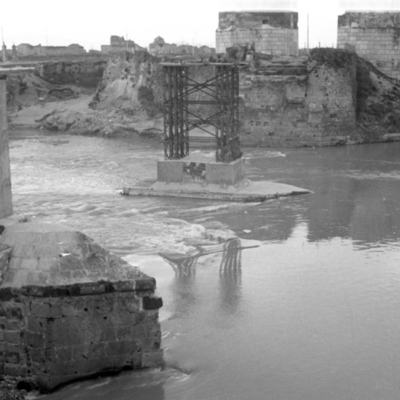 Coverage is exactly "Capua, Italy"
View of 13th century gate with two flanking towers and remnants of destroyed modern bridge from southeast, taken from across Volturno River. 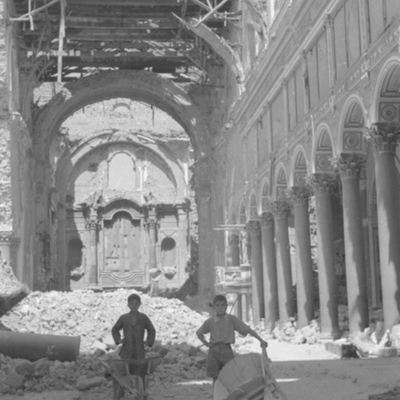 View onto damaged nave of Capua Cathedral (Cattedrale dei SS. Stefano e Agata) from which two young boys clear rubble. 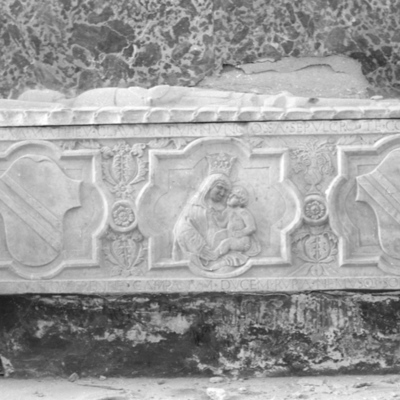 View of the side of the sarcophagus of Matteo De Capua, military strategist, died 1481. 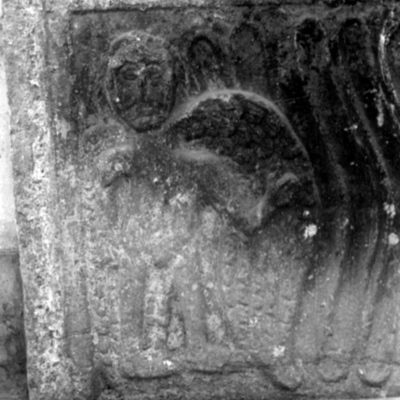 This object is in the chapel of Saints Andrea and Biagio, right nave. Many thanks to Giuseppe Netti for the identification. 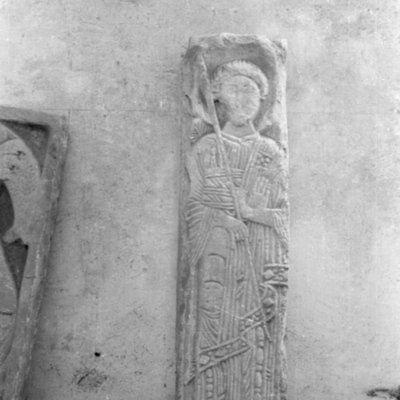 View of a bas-relief sculpture of saint from the Capua Museum. 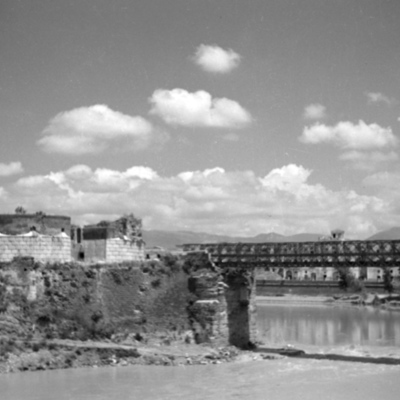 View of the Capua Gate and remains of Roman bridge. 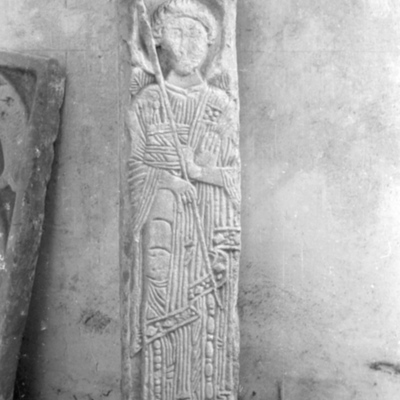 Bas-relief sculpture of saint. This film was included with others of Naples, but may have been taken in Capua. 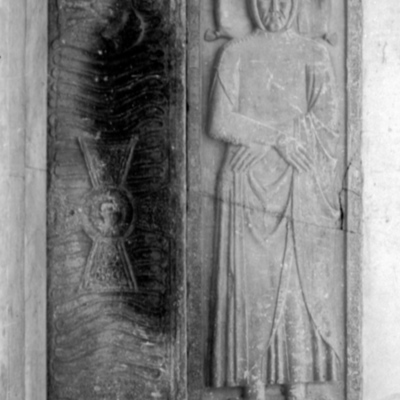 Lid of sarcophagus and one side mounted to a wall. 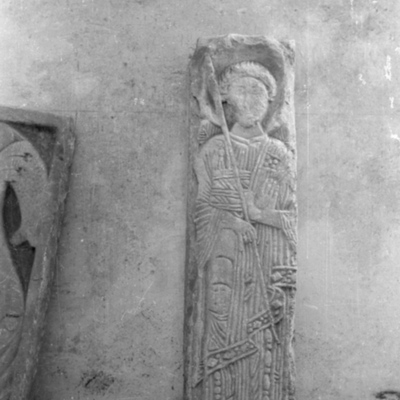 Unknown location but believed to be Capua, perhaps in the museum. Close up detail of a sarcophagus. Unknown location but believed to be Capua, perhaps in the museum. 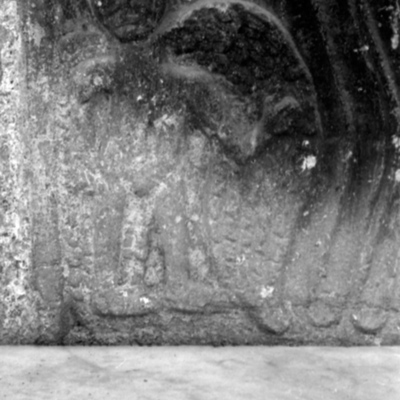 Detail of a sarcophagus. Unknown location but believed to be Capua, perhaps in the museum. Detail of sarcophagus. Unknown location but believed to be Capua, perhaps in the museum. 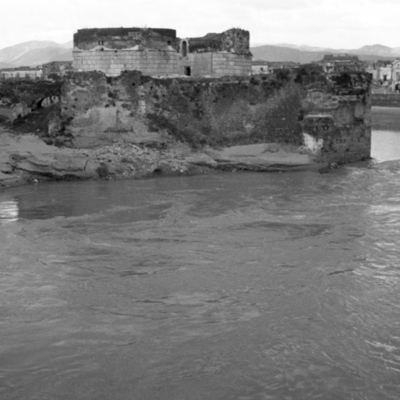 View of 13th century gate with two flanking towers and Roman bridge from southwest, taken from across Volturno River.